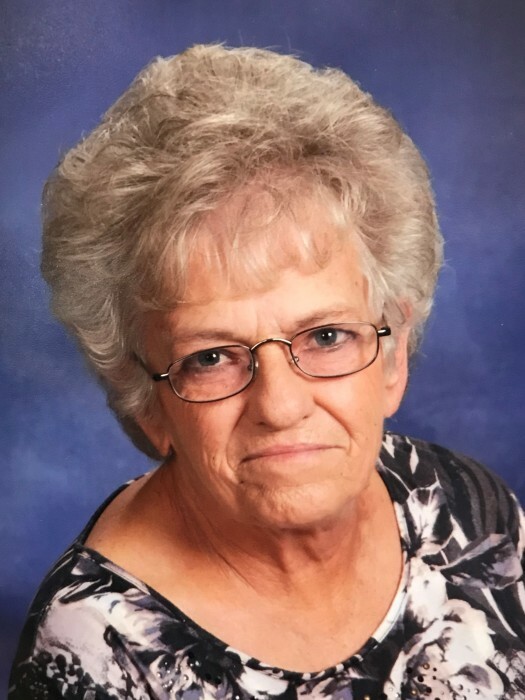 Charlotte Veatch, age 72, of Munjor, KS, passed away on Wednesday, November 21, 2018 at Hays Medical Center. She was born on August 2, 1946 in Hays, the daughter of Alois “Shorty” and Mary Helen (Jacobs) Schumacher. Charlotte was a 1964 graduate from Victoria High School. She married Philip Veatch on February 14, 1976 in Hays. He preceded her in death. She was a longtime member of Christian Mothers and St. Francis of Assisi Catholic Church all of Munjor. She was devoted to her family and cherished her grandchildren. Charlotte’s loves included her cats, the KC Royals and the Denver Broncos. Survivors include her two grandchildren, Philip Veatch III and Eileen Veatch of Munjor; two brothers, Marion Schumacher and his wife Valerie of Munjor, Ron Schumacher and his wife Pat of Arvada, CO; one sister, Mary Lou Pfannenstiel of Hays; daughter-in-law, Amy Arnhold; life-long foreign exchange student and friend, Edgar Ramirez, as well as numerous nieces and nephews. She was preceded in death by her parents; husband, Philip Veatch; son, Philip Veatch II; two brothers, DeWayne and Geral Schumacher. Mass of Christian Burial will be at 10 a.m., Monday, November 26, 2018, at St. Francis of Assisi Catholic Church, 883 Moscow St., Munjor. Burial will follow in the church cemetery, Munjor. Visitation will be from 5-8 p.m., on Sunday, November 25, 2018 and 9-9:30 a.m., on Monday, all at Brock’s-Keithley Funeral Chapel & Crematory, 2509 Vine St., Hays, KS 67601. A combined rosary and parish vigil service will be at 7:00 p.m., on Sunday at the funeral chapel. Memorials can be made in Charlotte’s loving memory to the Hays Humane Society of the High Plains and/or to Masses in care of the funeral chapel. Condolences may be left by guest book on her tribute wall at www.keithleyfuneralchapels.com or by email at keithleyfuneralhomes@gmail.com. Arrangements in care of Brock’s-Keithley Funeral Chapel & Crematory, 2509 Vine St., Hays, KS 67601.